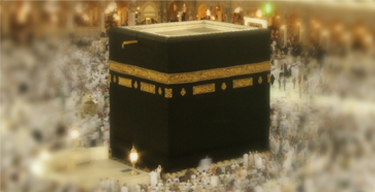 $4000 Deposit per person to secure your Hajj program / package. $4000 2nd Payment per person be made by February 23, 2019. Full and & Final Payment will be due by April 20, 2019. 4 Passport pictures (Canadian Passport Size) photographs for each traveler (ladies preferably in Hijab). All cancellations must be in writing. Cancellation received before May 03, 2019 are subject to $2000 per person administrative charge and those received less than 90 days prior departure i.e.after May 04, 2019 are totally non refundable. In addition to above addition penalties and/or charges imposed by hotel/airline/bus companies together with services or hotel space may be imposed. A passport that's valid for at least 7 months with 3 or 4 blank pages for each traveler. 4 passport pictures (Canadian Passport Size, White back ground) photographs for each traveler (ladies preferably in Hijab). Copy of POLIO record for children under 15 years old. Fully completed and signed Saudi visa application form: Hajj Visa application. Ticket Copy for each passenger in and out of Saudi Arabia. Hajj draft money (approx. CAD $800) will be collected with final payment.